The Altar and Rosary Society is a women’s organization that meets once a month from September to June. Members organize and take care of the funeral dinners, prayer line, sacristans, condiments for the parish picnic, flowers for the church and chapel. Altar and Rosary Society also provides the candles, baptismal bibs, breads, wine, linens, altar cloths, altar servers clothing, priest vestments and anything that is needed for the Church and Chapel. To provide these services, fundraising events including a card party, bake sales, and Christmas raffle. For more information, contact Kathy at 330-730-8633. Granny’s Attic is a "new to you sale" including The Book Nook (books & magazines for all ages) , LeChic Boutique ( scarves, purses, jewelry, trinket boxes), our Craft tables (with new craft items) , Raffle Ticket sales PLUS all of the wonderful finds from the attics! 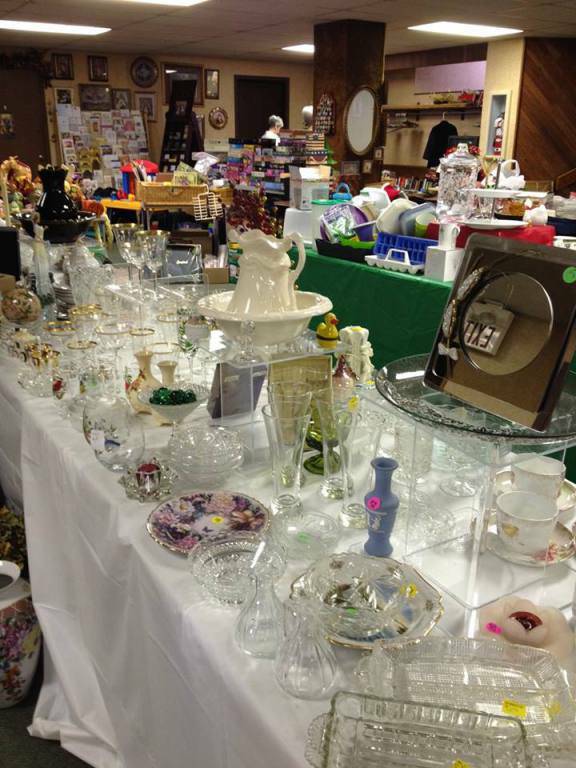 The sale takes place in Nolan Hall on a weekend in October or November. The society starts accepting donated items to sell at the sale around the beginning of June each year through the week before the sale. You can drop off your donations in Nolan Hall. This is one of A&R’s largest fundraisers – and all proceeds go to provide all the necessities of the Church & Chapel including altar breads & wines, candles, vestments etc.